Included in the category, Adverse Food Reactions are food sensitivities, food allergies, and food intolerance. 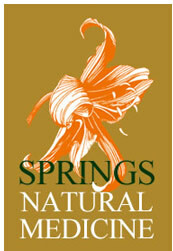 Click the link below for more information on the services Springs natural Medicine offers for testing and treatment of food related sensitivities, allergies and intolerance. Gluten intolerance is a more common disorder than previously reported in the scientific literature. Genetic predisposition is common in individuals of northern European descent (Celtic and Nordic) and in non-Caucasian and Mediterranean ethnicities. Historically, the diagnosis relied on invasive intestinal biopsy. A normal biopsy, however, does not exclude the disease. With the advent of biochemical markers (saliva SIgA) for gluten intolerance, several studies have proven the presence of various forms of gluten intolerance in 12%-18% of the US and EU populations. Cow’s milk intolerance is a specific genetically dictated intolerance to the major milk protein known as casein. It is defined as cow’s milk-(and cow’s milk-based dairy) induced intestinal damage that is reversed by a cow’s milk-free diet and returns with exposure. Milk intolerance is caused by casein and other milk antigens/proteins in genetically predisposed individuals. Casein triggers a toxic reaction in the intestine that stimulates a gut-specific antibody called secretory IgA, which we test for in saliva. In severe cases, the problem is apparent at an early age (<3 years of age). Egg intolerance is defined as egg white-induced intestinal damage that is reversed by an egg-free diet and returns on challenge with eggs. It is an abnormal inflammatory response to ovalbumin in genetically predisposed individuals. Ovalbumin in chicken (and most other bird eggs) can trigger a toxic reaction in the intestine that produces secretory IgA antibodies, which we test for in saliva. It is defined as soy protein-induced intestinal damage that is reversed by a soy-free diet and returns on challenge with soy. It is an abnormal response to soy proteins in genetically predisposed individuals. This is a problem that is on the rise in the US. Soy protein is a relatively new food/food additive in the US, and the long-term health effects for the US population are not yet clear. However, if your saliva test is positive, you may want to read food labels more carefully.